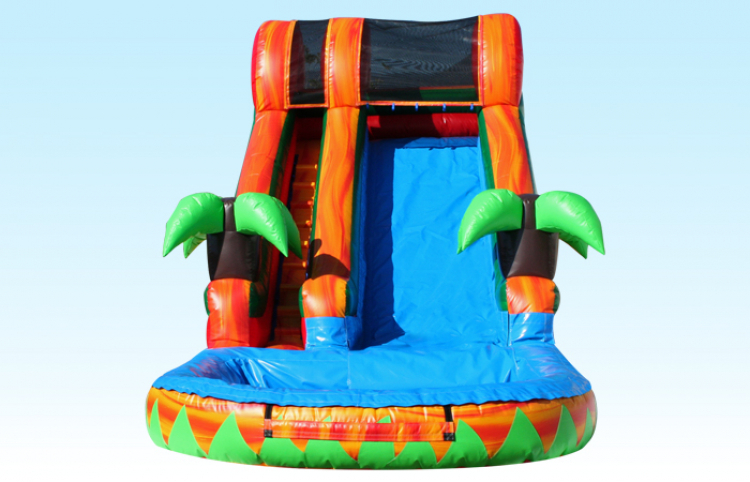 14' Tropical Fiesta Slide similar to photo instead of a pool it has a splash pad. Whether your having a birthday party, family reunion or corporate event you wont be disappointed with this slide. 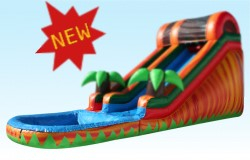 This slide has a bright and fun tropical fiesta theme and is sure to be a hit at any party or event.